"Bulls Markets is a penetrating and provocative account of the role of Michael Jordan and the championship Bulls in Chicago’s cultural and economic development. Dinces brings together a wealth of interesting research that asks important questions about the role of sports in urban growth, spatial evolution, and social inequality. Dinces’s analysis will have resonance for the citizens and politicians in many cities and should be required reading for public servants contemplating investment in sports infrastructure.”—Andrew Zimbalist, author of Circus Maximus. 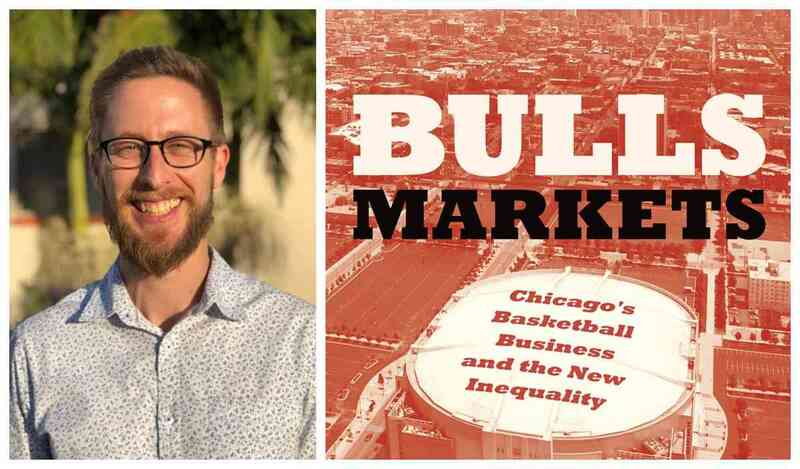 Sean Dinces will discuss Bulls Markets: Chicago's Basketball Business and the New Inequality. He will be joined in conversation by Larry Bennett. A Q&A and book signing will follow the discussion. About the book: The 1990s were a glorious time for the Chicago Bulls, an age of historic championships and all-time basketball greats like Scottie Pippen and Michael Jordan. It seemed only fitting that city, county, and state officials would assist the team owners in constructing a sparkling new venue to house this incredible team that was identified worldwide with Chicago. That arena, the United Center, is the focus of Bulls Markets, an unvarnished look at the economic and political choices that forever reshaped one of America’s largest cities—arguably for the worse. About the author: Sean Dinces is an Assistant Professor in the Department of History and Political Science at Long Beach City College. He previously held the Allan Selig Chair in U.S. History at the University of Wisconsin-Madison, and his work has appeared in a variety of academic journals as well as popular publications such Jacobin and the Milwaukee Journal-Sentinel. His research has also been published by local civil society organizations, including the Chicago Teachers Union. He holds a Ph.D. in American Studies and M.A. in Urban Education Policy from Brown University. About the interlocutor: Larry Bennett is Professor Emeritus of Political Science at DePaul University. He is the author and editor of several books, including The Third City: Chicago and American Urbanism, It’s Hardly Sportin’: Stadiums, Neighborhoods, and the New Chicago, and Neighborhood Politics: Chicago and Sheffield. He holds a Ph.D. in Urban Planning from Rutgers University.